A recent European comparison shows Germany’s expenditures on pharmaceuticals are above average. No other country offers medications for treating illnesses “as quickly and comprehensively” as the Federal Republic. EURACTIV Germany reports. 95% of new drugs are available after approval within two years in Germany, indicates a study by Reinhard Busse from Berlin Technical University on behalf of the Association of Statutory Health Insurance Funds (GKV). Busse made a systematic comparison of the pharmaceuticals supply under statutory insurance in Germany and in 15 other healthcare systems. He came to the conclusion that no other country in the study provided publicly-refunded medications for the treatment of illnesses as quickly and comprehensively as Germany. “This is paid for by pharmaceuticals expenditures which are relatively high in a European comparison, though the fact that prices are still above average in Germany also adds to it,” Busse explained. The average time between eligibility for reimbursement and actual sale in pharmacies is only three months in Germany. In the Netherlands it is nine months and ten in France. 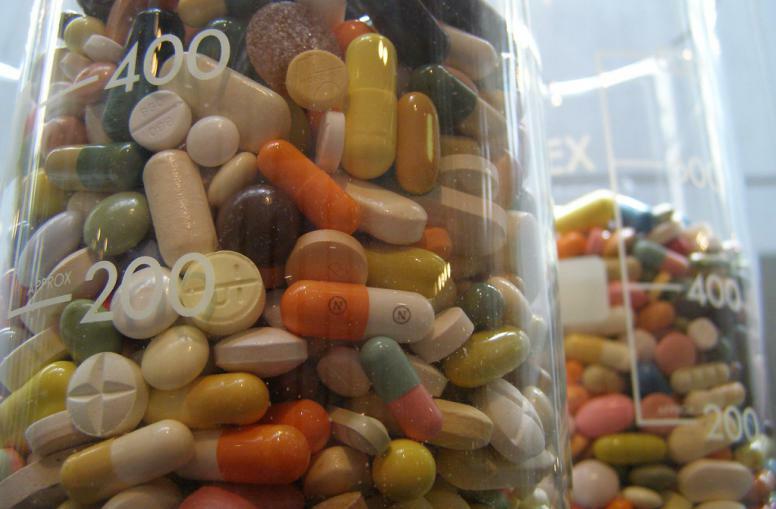 Furthermore, Germany ranked second with regard to state spending on medications. Only in Ireland do public institutions like health insurance providers spend more money on pharmaceuticals per capita, the study shows. In Germany, 2012 expenditures were around $500. But a new drug does not always offer benefits for all patients, Busse said, indicating instead that this is often only true for certain patient groups. For this reason, most European countries use benefit assessments to restrict prescription of new medications to certain patient groups for whom the drug has an added value. But in Germany, almost all medications that require a prescription are eligible for reimbursement. “To improve the price-performance ratio among new medications, Germany should also consider using more targeted usage controls for new medications,” Busse said. The pharmaceutical industry, meanwhile, criticised the study. According to the Association of Research-based Pharmaceutical Manufacturers (vfa), for a long time now, Germany has “not been playing a leading role”, when it comes to supplying patients with new drugs. Although new medications in Germany are rapidly available on the market, they take considerably more time to reach patients because insurance providers put pressure on the doctors prescribing medications, said the vfa’s managing director Birgit Fischer. There is also no scientifically neutral benefit assessment in Germany, because the GKV association has a dominant position in assessment and price determination, Fischer said. “As a result, the price level in Germany has fallen below the European average,” he claimed. The pharmaceutical prices which have been negotiated with insurance providers in Germany are considerably lower than in other European countries, the vfa indicated. 73% of German prices are below the average among neighbouring countries and 38% are among the lowest of all. On the other hand, Busse’s study shows that Germany’s price level for pharmaceuticals is in the upper middle range in a European comparison. Here, he compared prices according to the rebate and reimbursement negotiations in each respective country. “Whoever compares list prices before price negotiations for the smallest patient groups abroad with the actual reimbursement prices in Germany after the negotiations, is comparing apples and oranges and is not interested in real transparency,” said GKV Vice Chair Johann-Magus von Stackelberg. Added to this is the fact that compulsory reimbursement is not restricted to certain groups in Germany, he said. For the time being, von Stackelberg indicated, it also applies to those for whom the medication does not potentially offer any added benefit. The majority of countries in the European Union set pharmaceutical prices according to a legally fixed price. Until 2012, Germany was among the three countries in which there was no price regulation for medications. Since the Re-organisation Law for the Pharmaceutical Market (AMNOG) took effect in 2012, a new pricing rule applies for new drugs. According to the measure, the GKV association negotiates with pharmaceutical manufacturers over discounts on the list price of new medications, which the company determines in advance. Within the two months before negotiations take place, the price set by the manufacturer applies.